Today’s idea is not my idea. I got the idea from amazon, where you can spend about ten bucks for one of these balls. And here is a blog post about it. 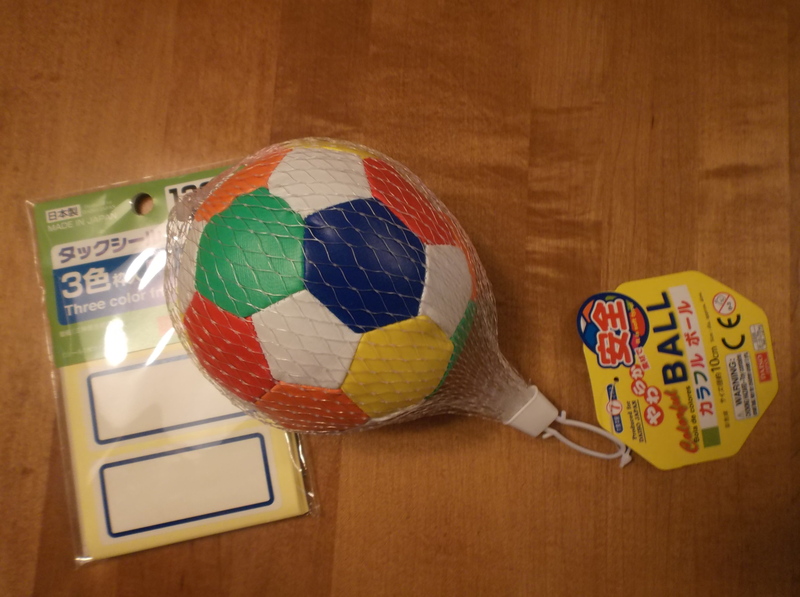 What I did was I went to the 100 yen shop and bought a little ball and stickers, big enough to write a question on. 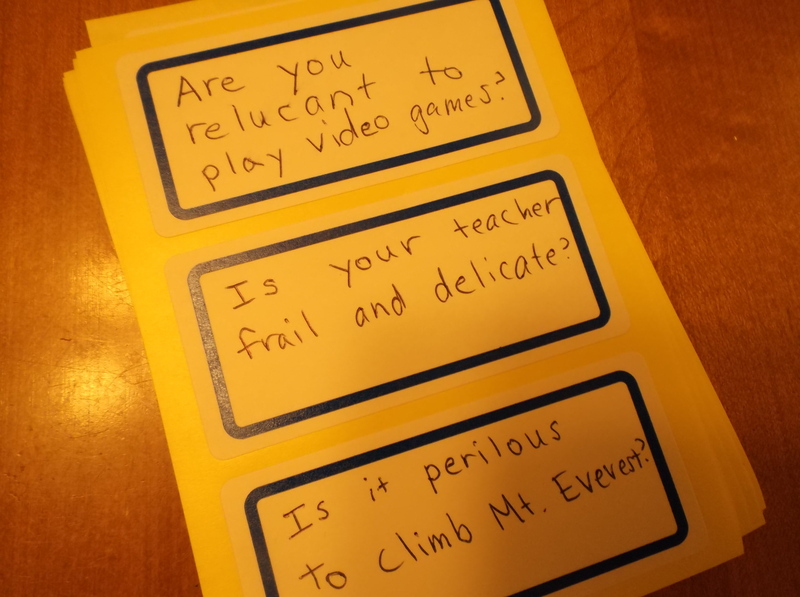 Then I wrote questions on the stickers. Yes, I KNOW that I spelled “reluctant” wrong!!!!! That’s the danger of preparing your own materials instead of just buying them. I used some vocabulary words that have come up in English Time. (“reluctant” “frail” “perilous”) But of course the questions can be anything, or they can be commands or whatever. Voila! The child is supposed to ask and answer the question that his thumb lands on. Neat, huh. 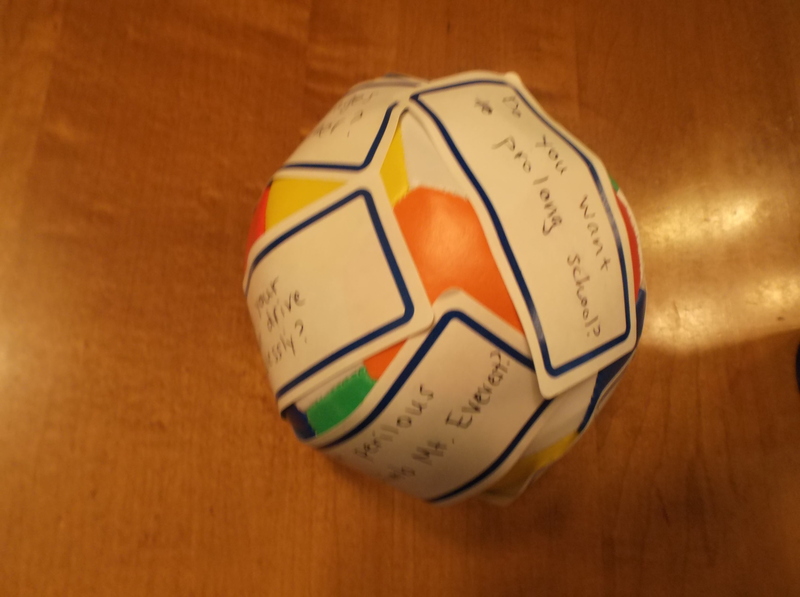 The beauty of MY ball is that I can rip off the stickers and make new questions. This is nice since I also use it for the kids I teach English to. They have really easy questions, of course. So I have saved a lot of money!